Follow the road for approximately 1 mile until you reach the village of Barley. Excellent event, really well organised, wasn’t their fault the hills were so big! Thanks to all the marshalls and volunteers who gave up their time. This half marathon is hard,Times are irrelevant because it is thirteen and a half miles..Just to finish is a massive achievment. This half marathon makes excellent training for a full marathon.Very enjoyable. Very challenging course with some big hills, but excellent organisation and support. 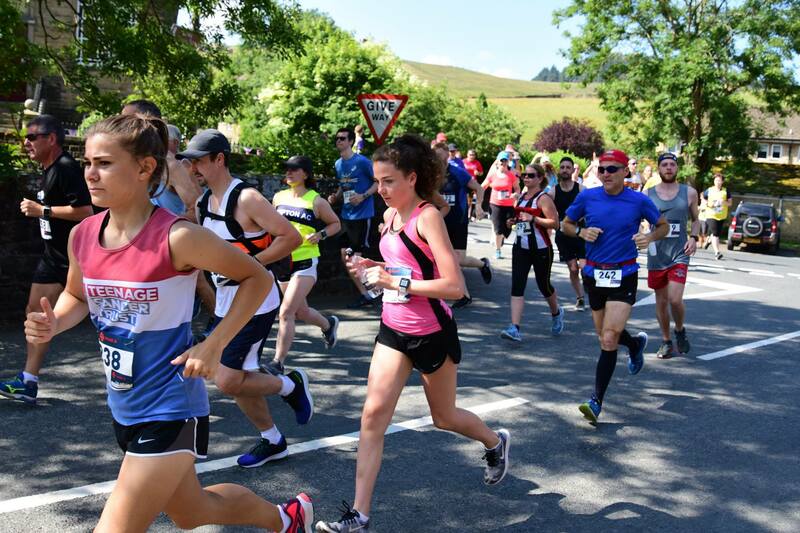 If you’ve trained for hills this is a fantastic event! Fantastic organisation, lovely friendly volunteers and a beautiful route. Great parking and food and gorgeous scenery on the route. Well done all! Beautiful countryside and very friendly staff! Top race. Well organised and a great route. Thank you. See you 2019. Really lovely, friendly & well organised event. Refreshments were amazing and not overpriced. Beautiful setting. Tough challenging route, but great friendly local event. Love the refreshments in the village hall! If you don't like hills, it's not for you!! well marshalled and signed. Excellent goody bag!